The message has gone down nice and proper: The air in our homes can be polluted enough to create breathing issues, allergies, headaches, nausea and other long-term complications. The main culprits apart from the seasonal Diwali pollution? 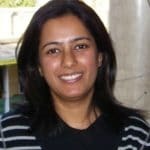 Benzene, formaldehyde, ammonia, trichloroethylene and more chemicals that are silently leaching into the air from everyday objects and household chores: Smoke from cooking or charring, detergents, furniture polish, paints and gases percolating conspiratorially from refrigerators and other appliances. But since we have to live with these by-products, the next best thing to do is elbow out these toxins. 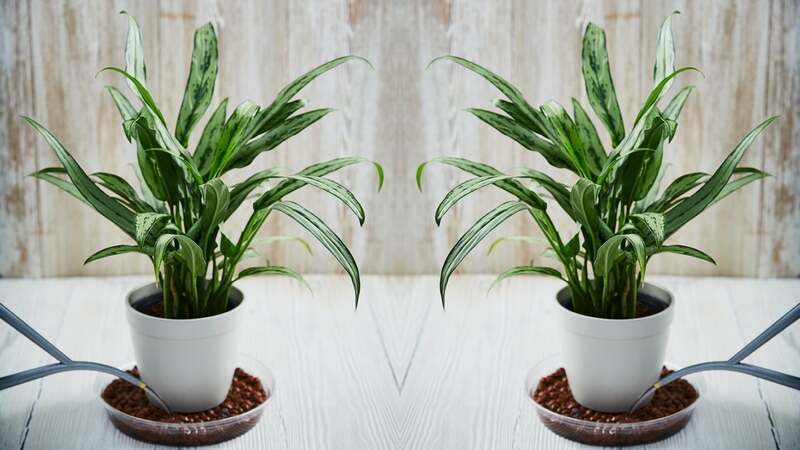 Indoor air-purifying plants are an easy solution, although 25 different types may be too much to manage. 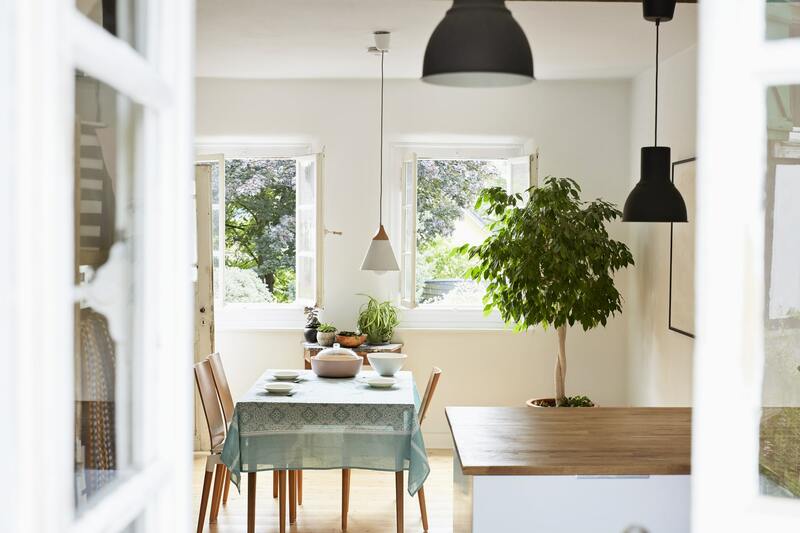 We bring you our top five picks based on aesthetic value, ease-of-maintenance, and the weather, so you can style your house picturesquely while scrubbing the air clean. 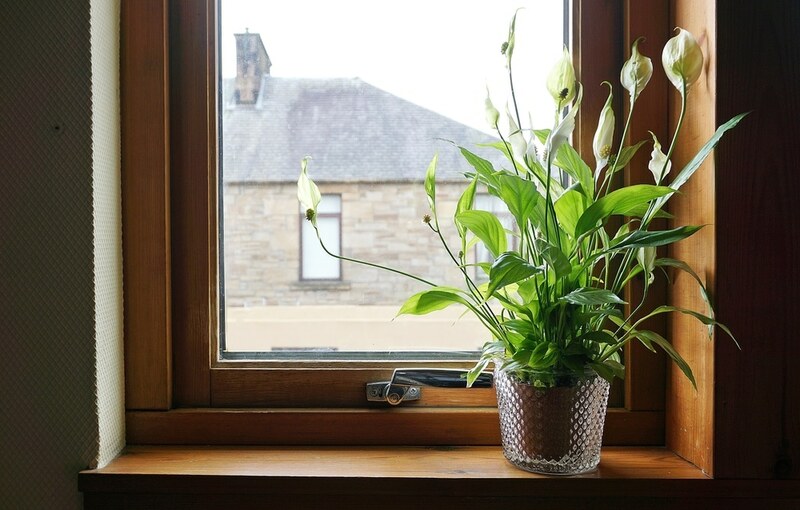 A superstar at cleansing, the peace lily can absorb and breakdown five of the most common indoor air-pollutants. The tall statuesque white blooms of this plant stand in contrast to its dark green leaves and add effortless elegance to the quiet areas of the house. Décor tip: Since the plant does not gain too much height and the leaves can be trimmed to contain the circumference, assign it a place of pride — a centerpiece on the dinner table, on a high stand to light up a corner, or hung in an attractive basket. To build up on a country look, place the pot in round, woven, rustic-jute or bamboo baskets. Cover the top layer with wood shavings or dried moss for further accentuation. Larger plants can be put in bright orange or warm coloured planters to complement the white blooms and dark foliage. Product pick: Place the planter in this INV Home Orange Loom vase. 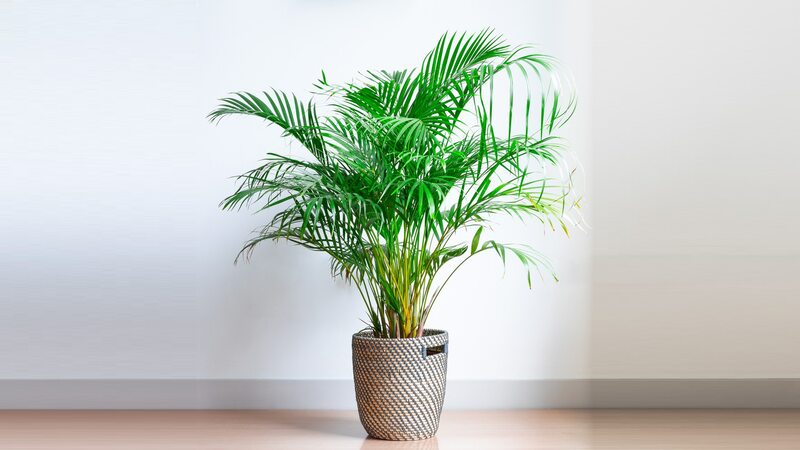 The luxuriant, feathery foliage of areca palm makes it an apt pick for lonely corners. It is more likely to die from over-watering than under-watering, so go easy on it. Décor tip: Arecas fill up spaces beautifully, so it’s a good idea to have one in the main seating area of the house. Its sophisticated gentility calls for a minimal, round, wire holder or alternatively for a serene white white. Stick in one or two garden accessories in the pot, letting them peep from behind the foliage, to not take away from the beauty of the plant. On special occasions, drape fairy lights on it. Given the normally large size, you can also use it as room dividers in long hallways or to greet the guests at the entrance of the house. Product pick: Set the plant in this Half Moon Basket by Lohasmith. A formidable agent against formaldehyde and benzene, aglaonema’s many colours and variegations are easy to maintain. Plus, the dramatic drooping of leaves will update you on the watering schedule. Decor tip: Generally available in small to medium sizes, aglaonemas make great table-top plants. Place a cluster of different heights and varieties on a corner peg table. Since the leaves are mostly spotted or variegated, layer the top soil with white or colourful pebbles. A restrained natural ash-grey cement pot aces the theatrical foliage. A few larger pots can be placed in a circular, amphi-theatre style setting in any empty large corners. Product pick: Sow the seed in this block planter by Gomaads. 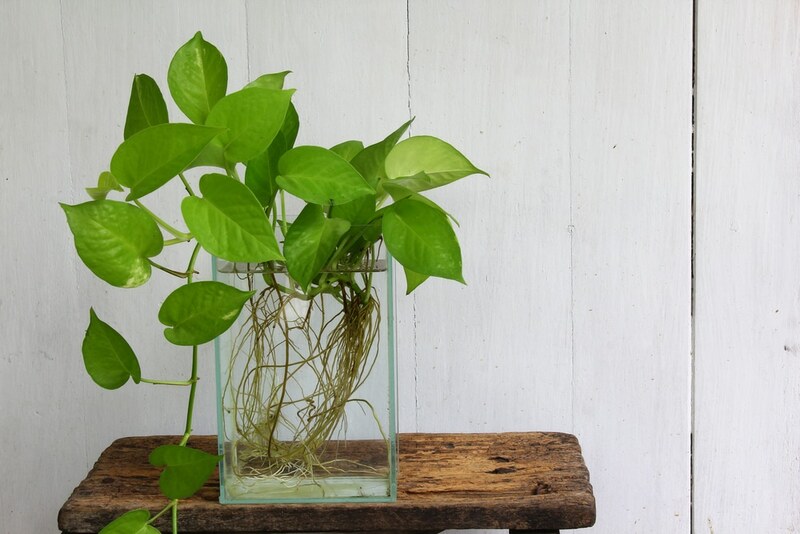 The bright, trailing plant will clean the air of benzene, formaldehyde, xylene and toluene. Given that it is a native of tropical countries, it naturally thrives in our weather, with minimum looking-after. Décor tip: Though the foliage is available in many colours and patterns, the preferred custodian for clean air is the one with bright neon green-yellow leaves. The colour is enough to add a pop to any spot. For quick décor, cut a few tendrils from the plant, and place in attractive coloured tea-light candle holders or glasses. Place multi-coloured pebbles, or marble chips inside to help position the stalks upright. Fill with water and place anywhere. If using lanterns, put small potted pothos inside the lanterns and hang as many in a straight line at the entrance. Place small plants inside a white bird cage. Let the stalks trail naturally out of the cage bars. Product pick: Sow the seed in this hanging planter by Rosebuck.